Hardly the most awe-inspiring name but I am happy with the results. I’m not sure what’s going on with the white top underneath there… The cardigan actually comes down to my hips! 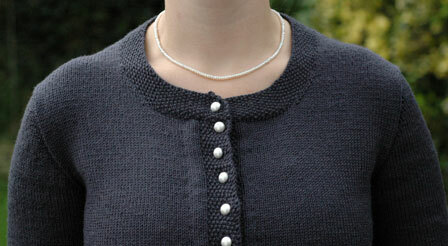 I am really pleased with how the collar and button bands came out. I left a smidge too little leeway for my steek and was convinced that the garment was going to be too small. Needles: 3mm circular and a 2.5mm hook for the steeking and picking up of stitches. 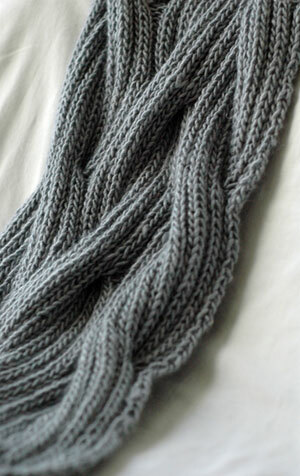 Yarn: Rowan 4ply Soft in Grey from This is Knit. It is yummy and it held up to the steeking really well. I would definitely use it again. 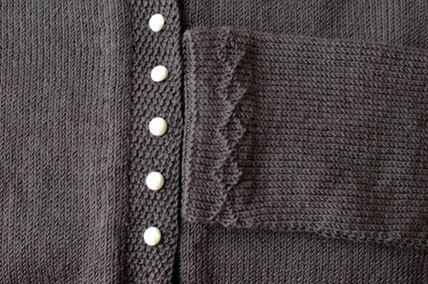 Buttons: From Rubanesque on Sth William St.
What I did was work a top-down set-in sleeve jumper with extra space at the centre front for the steek. I worked the body and sleeves all the way down to the bottom and left the hem on waste yarn. I steeked the front using a crochet binding (which is brilliant!) and sewed down the hems. Then, I folded back the steeks and sewed them down. I used a crochet hook to pick up the stitches for the button bands and kept trying it on whilst knitting the bands to make sure the buttons would be placed dead centre. Next I put on the collar and the buttons. It fitted fine but the buttons had a tendency to pop out, so I went back with my crochet hook and stabilised all the button holes with some slip stitch. I’m really pleased with how it came out! I finished up the grey cardigan last night. It had been lingering and lingering but yesterday I bought the buttons and today we have this! It needs to be blocked but overall I am very happy with how it turned out. It fits really nicely, too. Since it was all quite painless, I decided to get cracking on my Kidsilk Aura cardigan, too. I’m on the second sleeve. It needs a button band, which I will probably do in a vertical 1×1 rib, and if I have enough yarn left over, I will add an extra inch to the length. 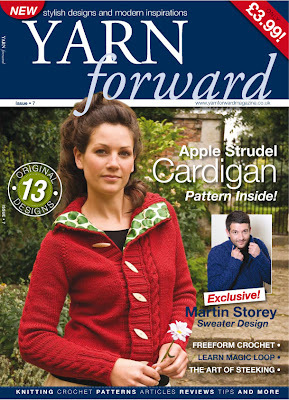 The concept I had in mind was quite a cropped cardigan but I’ve had second thoughts so if I can, I will lengthen it. It is so fuzzy and cozy I cannot wait to get it finished up! There are no patterns for these guys because I designed them out of a wardrobe need rather than a magazine need. But if you find after a while that this post has vanished, you’ll know what’s happened. I’m “working” today but I anticipate a fresh round of swatching in store this evening. 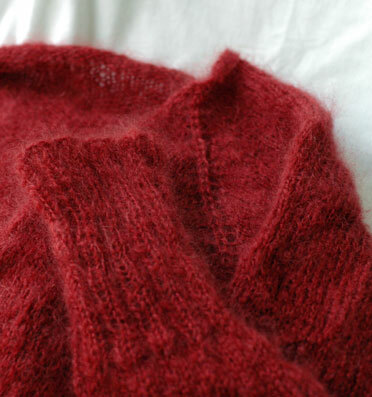 I have ideas for some things that should be FUN to knit: another kid’s jumper, a sleeveless top, a steeked colourwork sweater, and something else that sort of appeared to me whilst staring at kidsilk haze and a rowan magazine yesterday. KSH likes to do that to you. I can finally tell you all my exciting news! Yup, I made the front cover! Yay! It’s out in most bookstores and supermarkets from October 8th and will be available at the Knitting and Stitching Show, too. Check out the other projects in the magazine here. Ko Pha-Ngan and Ko Tao are renowned for their diving and snorkelling so the day before we started our trek home, we decided to take a day trip to Ko Tao and go snorkelling. I assumed I’d probably only see a few fish but let me tell you – those waters were teeming. I saw big silver fish with yellow spots, tiny luminous blue and green ones, big shoals of zebra-striped fish that swarm around you and you get a faceful of fins… and just once, I saw three cuttlefish that I initially mistook to be squid. The coral reef was just as spectacular – stuff that looks like shrubs, massive mushroom-like ones and big clumps that look like the hair of a sleeping giant. The whole time I was in the water over the coral, I could hear a constant crackling, like rice krispies. Saturday, we came back to Samui and started our trek home early Sunday morning. 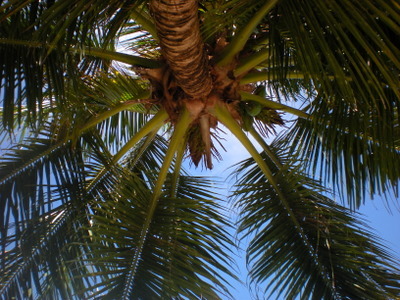 We flew Samui to Bangkok to Helsinki to Amsterdam, overnighted in Amsterdam, and continued on via Waterford to Galway. I got the train back to Dublin last night and so here I am! Back in my slippers with a proper cup of tea ready to show you some of the other things I couldn’t photograph too well whilst on the road. The first order of business is those buttons I got in Amsterdam. Aren’t those pink ones so zany! I did a silly amount of swatching last week. I wrote three patterns, two of which are with test knitters (did you ever hear of anything so fantastic?) and one which will hopefully be coming your way by the end of the week. I’m still working on something that I saw in my profound boredom in Helsinki airport. 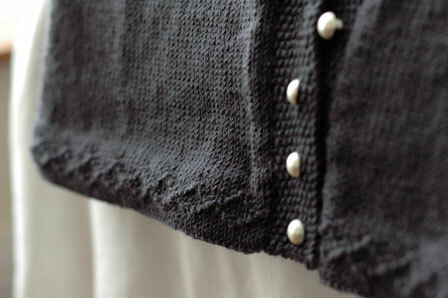 Apart from that, I have been working on Heidi’s shawl. She’s getting married in October and I’m knitting a shawl for one of her bridesmaids as a present. I’d better get ready for work. You know the new branch in the Powerscourt Centre is now open? To the best of my knowledge, it’s open Monday to Saturday, 10-6, with lunch from 215-245. Can’t wait to see it myself!